*If out of stock...try Target or Toys R Us - they are now both available live! Shopping for a 3DS this holiday season? 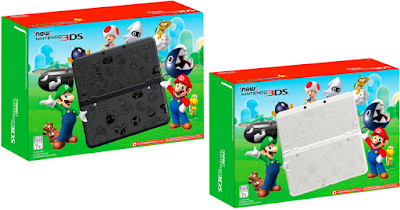 Head over to Walmart or Best Buy where you can score the NEW Nintendo 3DS Super Mario Edition in black or white for ONLY $99.99 shipped (regularly $149.96)!